The West Stand Stones are on sale and available to purchase online or via the ticket office. There are three sizes of stones available, with each stone being personalised enabling you to choose your own specific message. Made of finest dark green granite, the single stone has up to two lines of text (14 characters per line) engraved and painted in silver lettering. Made of finest dark green granite, the Double Stone has up to three lines of text (14 characters per line) engraved, plus the addition of the Hibernian Crest, all painted in silver. 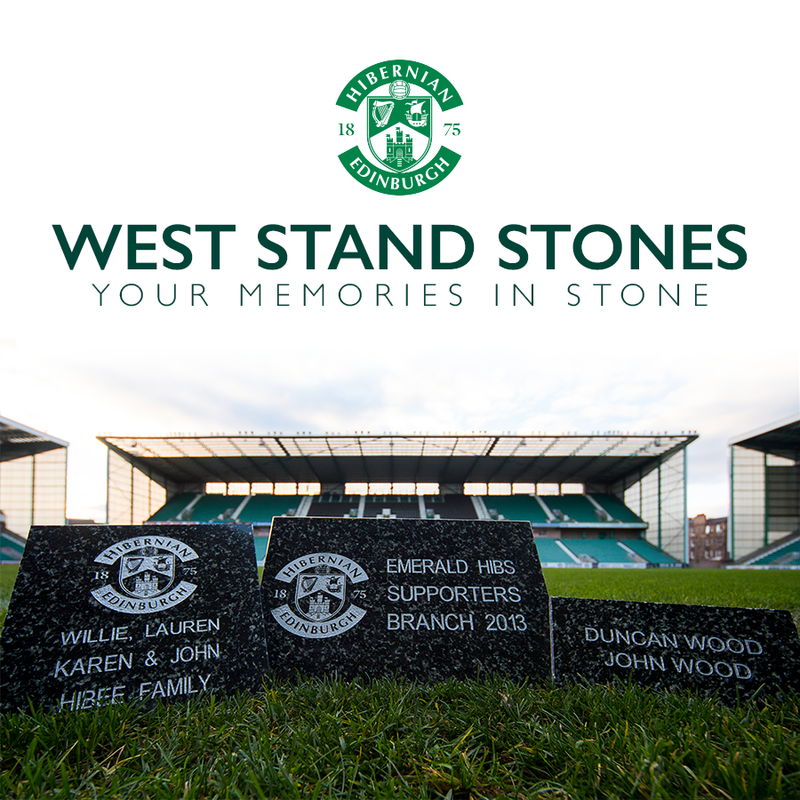 Make an impact with the largest of the West Stand Stones featuring the Hibernian Crest. The Commemorative Stone is made of finest dark green granite has up to four lines of text (14 characters per line) engraved and painted in Silver. Replica Stones are also available to purchase which are available for supporters to keep for their own use. Please note these are for collection from Easter Road Stadium only. What are the West Stand Stones? The West Stand Stones are a grouping of personalised engraved stones set within two areas of the West Stand, Easter Road Stadium. How do I buy a Stone(s)? What Stone(s) can I buy? · The Single Stone has up to 2 lines of 14 characters per line (spaces & punctuation count as characters) - 200mm x 100mm. · The Double Stone has up to 3 lines of 14 characters per line (spaces & punctuation count as characters) - 200mm x 200mm plus the addition of the Hibernian crest. · The Commemorative Stone has up to 4 lines of 14 characters per line (spaces & punctuation count as characters) – 300mm x 200mm plus the addition of the Hibernian crest. · You can buy as many stones as you like. What happens once I have purchased a West Stand Stone? You will receive a confirmation email within 48 hours detailing how you can communicate your inscription details. You will also receive a certificate in the post that you will able to complete yourself with inscription detail and the name of the stone recipient. How do I communicate my inscription details? 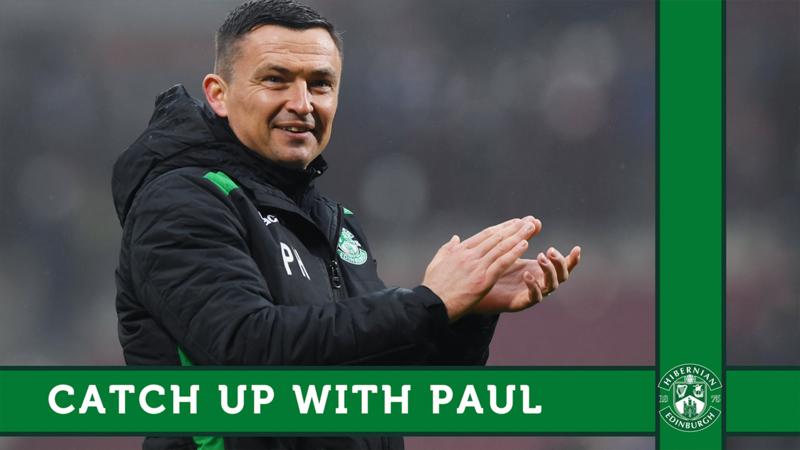 By emailing ‘weststandstones@hibernianfc.co.uk’ detailing what you would like on each line. When do I have to submit my inscription details by? By Friday 31st May 2019 in order to be included in the August 2019 installation. Certificates will have official stamped approval from the club. There will be space on the certificate for purchasers to write the stone recipients name and inscription. Installation work will take place in August 2019. Unfortunately not, the stones will be laid on a first come - first laid basis. Each stone will be laid in the next available location. Can I buy a stone as a gift? Yes, you can buy a stone(s) for someone else. You can give the certificate as a gift by filling out the recipient name section. The recipient then needs to email their inscription details to ‘weststandstones@hibernianfc.co.uk’. A replica is a personal copy of your West Stand Stone for your own home or to give as a personal gift. These stones are exact copies of the original stones being installed at the stadium. How will I receive my Replica Stone (s)? 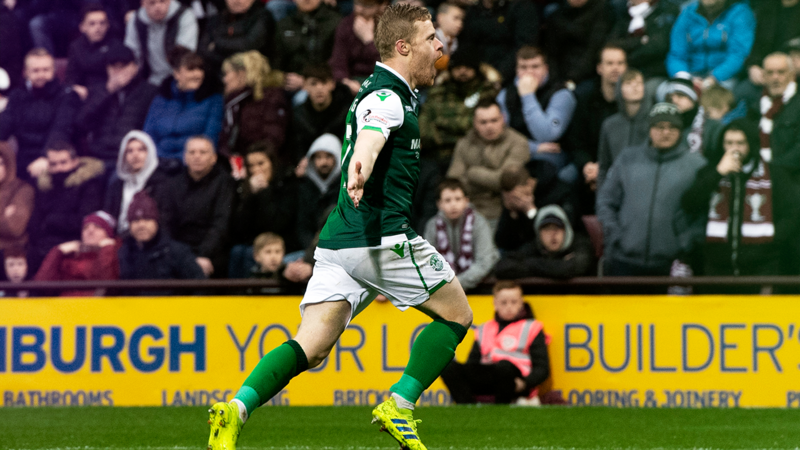 These are only available for collection from Easter Road Stadium from week commencing Monday 17 June 2019.